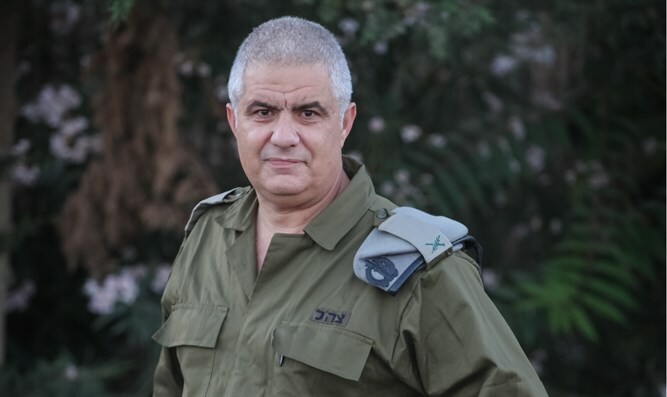 The Jewish State movement which is dedicated to strengthening the Jewish character of the State of Israel has appealed to Defense Minister Liberman and Chief of Staff Aizenkot to cancel Motti Almoz's appointment as IDF Chief of Manpower Directorate. Jewish State member attorney Ziv Maor wrote in his letter that while Almoz served as IDF spokesman he behave unprofessionally and in a way that alienated and insulted large sectors of Israeli society due to his extremist political agenda. With reference to the IDF spokesman's statement after the shooting incident in which Elor Azaria was involved, attorney Maor wrote that "Just as an army paramedic would not leave a soldier in the field if he was wounded while ignoring orders, it is unthinkable that the IDF spokesman should tarnish the reputation of an IDF soldier. With reference to Almoz's repeatedly harsh statements against rabbis with reference to issues relating to the Manpower directorate such as the right of religious soldiers to grow beards or female soldiers serving in tanks with males, Maor wrote that "The way in which Almoz chose to express his opinions demonstrated unprofessionalism. When the IDF spokesman depicts halakhic rulings issuing from the great men of the generation as "catcalls and trumpeting", this means that such crude expressions have received the imprimatur of the IDF." The letter also referred to an article published in August in Yediot Aharonot in which transgender soldiers were interviewed and disparaged IDF Chief Rabbi, Brigadier General Eyal Karim, who was a senior officer at the time, as well as other rabbis. Among other things the soldiers said that "there will always be people saying racist things" and "not all religious people think like these rabbis." These words received the sanction of the IDF spokesman. Maor added "it must be concluded that according to Brigadier-General Almoz's opinion the ranks held by IDF rabbis are worth less than those of other officers and if this is the opinion of the IDF spokesman it represents the opinion of the army." The movement demanded to cancel Almoz's appointment due to his numerous "professional failures" and threatened to petition the High Court against the appointment if it wasn't cancelled, The High Court established regarding the appointment of Rabbi Karim as IDF Cheif Rabbi that the Defense Ministry must take into account the feelings of the public regarding senior appointments and Almoz's extreme statements have "hurt the feelings of a large segment of the Israeli public,." concluded Maor.